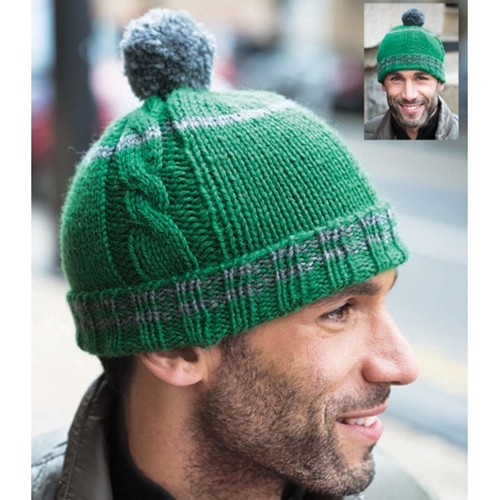 Basic hat knit in the round with striped ribbed brim, two cable panels on a background of stockinette, and topped with a pompom. Sized for adult Small, Medium, Large and shown in size Small. 17 sts and 25 rnds = 4"/10cm over St st using size 8 (5mm) needles.